Classic Car Concepts out of Phoenix, Arizona specializes in classic car customization. Owner Jerry Reid says “we make cars bigger, badder and better”. Mr Reid was looking to do something different with his shop parts truck instead of painting it. He wanted something bigger badder and better! So he headed over to Inyati bedliners north Phoenix location to see what could be done. 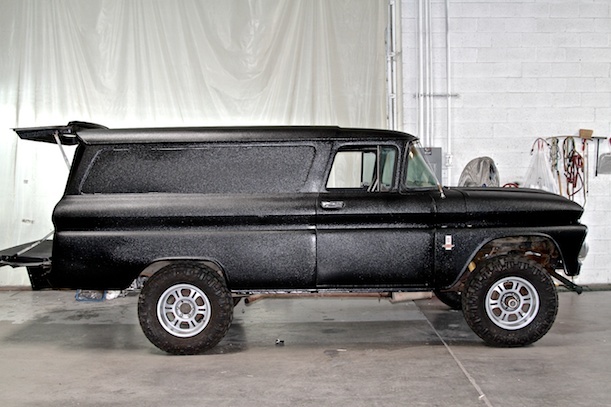 The result is his suburban being completely coated, inside and out with our tough polyurethane coating.